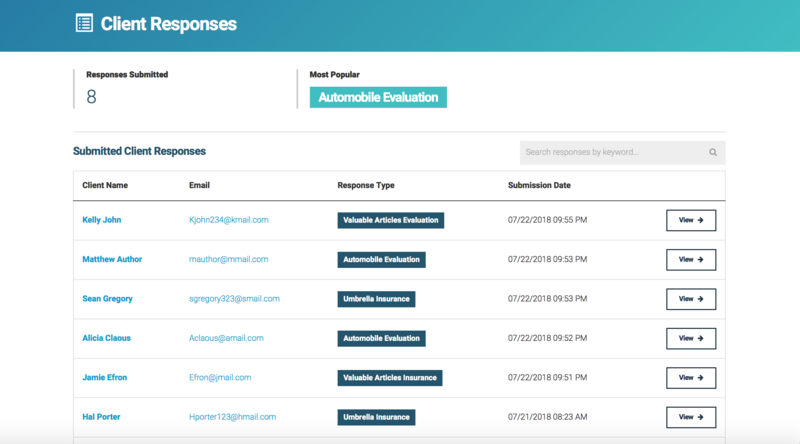 See how RiskRevu can simplify and automate the client renewal process. 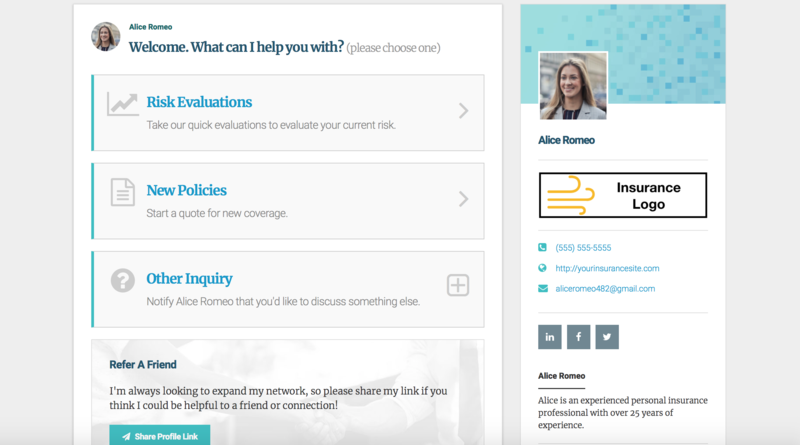 Quickly and easily customize your personal RiskRevu profile in minutes. 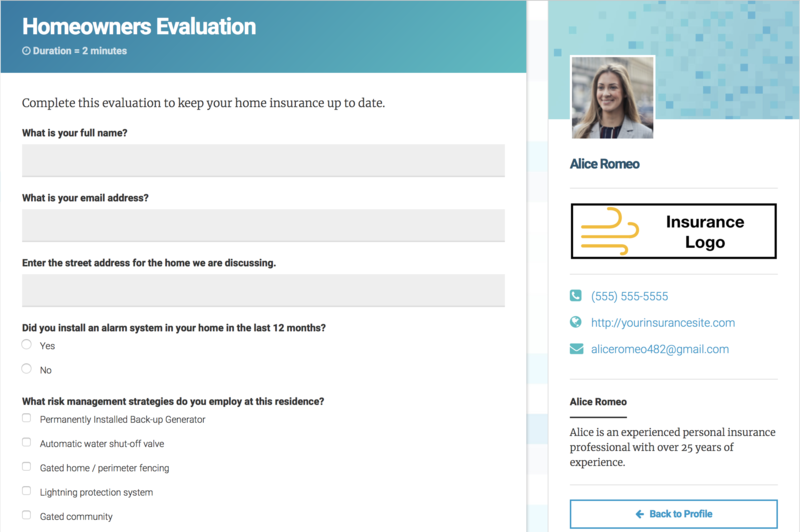 Create an agent profile with self-serve features that allow your clients to effortlessly submit renewal questionnaires and new quote forms. Images and quick descriptions help clients understand what to do. All forms are built to be efficient and quick. Quickly navigate to all the features of RiskRevu from one location. 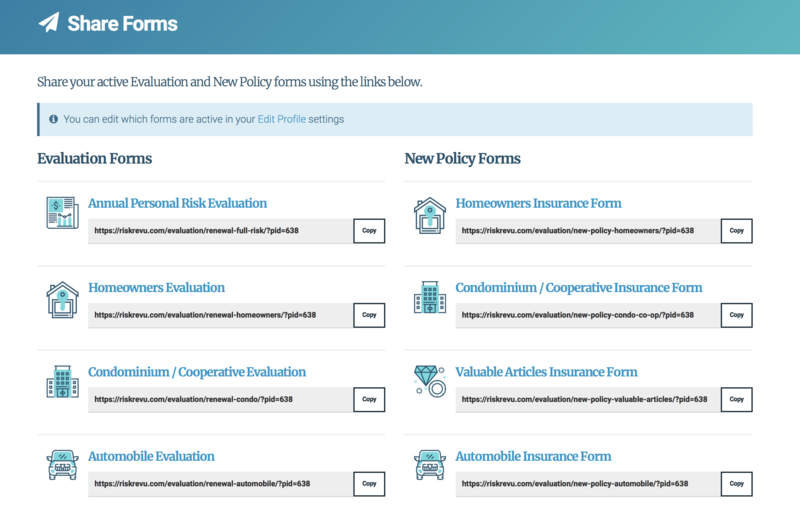 Manage all your client renewal and policy submissions in one central location with easy access. 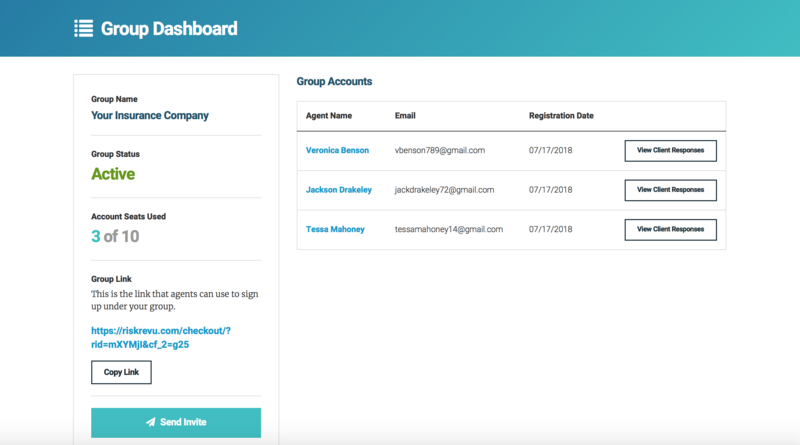 Sharing forms is simple and quick. Invite team members to set up their profiles. You'll have access to view their profiles and client responses. We take security seriously at RiskRevu. All of your data is encrypted in transit. All data is stored in Google Cloud servers behind SSL technology. 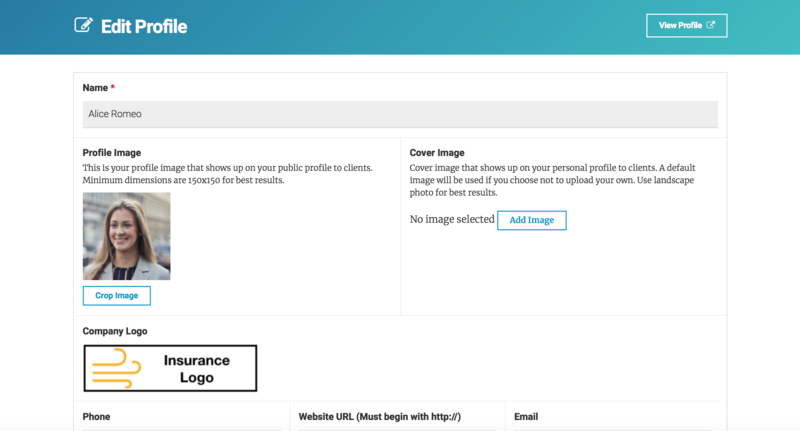 Send your clients links to RiskRevu forms. Let RiskRevu ask the questions for you. 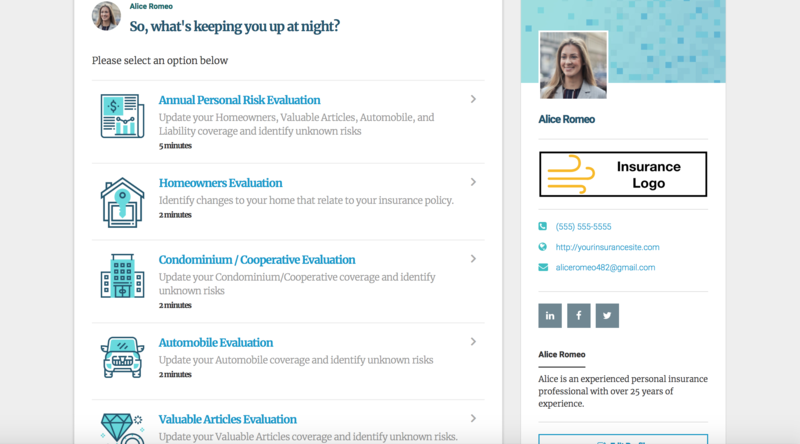 Getting to know your clients and their needs will uncover opportunities to sell additional coverage while demonstrating your interest in their well-being. Keeping in touch with your clients and asking them about their risks is a good practice and will help you avoid a costly error or omission. Don't fall behind. Put RiskRevu to work for you today.